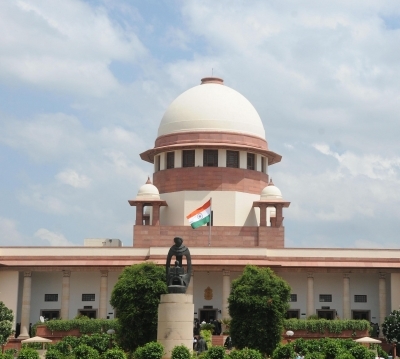 New Delhi Sep 14 (IANS) The Supreme Court on Friday restored the police power to act on complaints of dowry harassment under Section 498A of the Indian Penal Code (IPC). A bench of Chief Justice Dipak Misra Justice A.M. Khanwilkar and Justice D.Y. Chandrachud struck down its earlier verdict that family welfare committees scrutinise dowry harassment complaints and submit their reports before police acts on the same. It held that setting up of family welfare committees and powers conferred on these was "impermissible". "There are statutory provisions and judgments in the field and therefore directions pertaining to constitution of a committee and conferment of power on the said committee is erroneous " Chief Justice Misra said while speaking for the bench. Restoring police power to arrest the court however said that police will act with caution in these cases. "We think it appropriate to direct the Investigating Officer to be careful in dealing with the complaints of dowry harassment." Referring to its earlier judgments the court said that arrests in cases where offence of dowry harassment attracts punishment of imprisonment of seven years or less the Investigating Officer will affect arrests only on satisfaction that such persons had committed the offence. He has to be further satisfied that the arrest is necessary to prevent such persons from committing further offence including disappearance of or tampering with evidence or requirement of further investigation. The court had by its July 27 2017 order said that District Legal Service Authorities would constitute the family welfare committees. Modifying one of the directions issued on July 27 2017 the court said on Friday: "If a settlement is arrived at the parties can approach the High Court under Section 482 of the Code of Criminal Procedure and the High Court... shall dispose of the same." The apex court did not find any infirmity with said direction which said that "if a bail application is filed with at least one clear day s notice to the Public Prosecutor/complainant the same may be decided as far as possible on the same day. Recovery of disputed dowry items may not by itself be a ground for denial of bail if maintenance or other rights of wife/minor children can otherwise be protected." "Needless to say that in dealing with bail matters individual roles prima facie truth of the allegations requirement of further arrest/custody and interest of justice must be carefully weighed." The court also did not find any fault with the July 2017 direction that "in respect of persons ordinarily residing out of India impounding of passports or issuance of Red Corner Notice should not be a routine." The court s Friday verdict came as errors were found in some of the directions issued by a bench of the top court in its July 27 2017 judgment that held the "potential to enter into the legislative field" while interpreting a statutory provision. The core issue is whether the court could by the method of interpretation have issued such directions including setting up of the family welfare committees by the District Legal Services Authorities and conferred powers on them to scrutinise complaints of dowry harassment before police could act on them. Disagreeing with the court direction on setting up of the committees for scrutinising complaints the court said: "The legislature in its wisdom has made the offence under Section 498A of the IPC cognizable and non-bailable. The fault lies with the investigating agency which sometimes jumps into action without application of mind."